Just as previously teased, today LG made a new smartphone official in South Korea. It's called LG Class, and for a while we thought it would be a mid-range phablet. Mid-range it is, but size-wise it's just a 5-incher. The Class features a unibody metal construction, which, when paired with its specs, reminds us a little bit of Samsung's Galaxy A series of handsets. 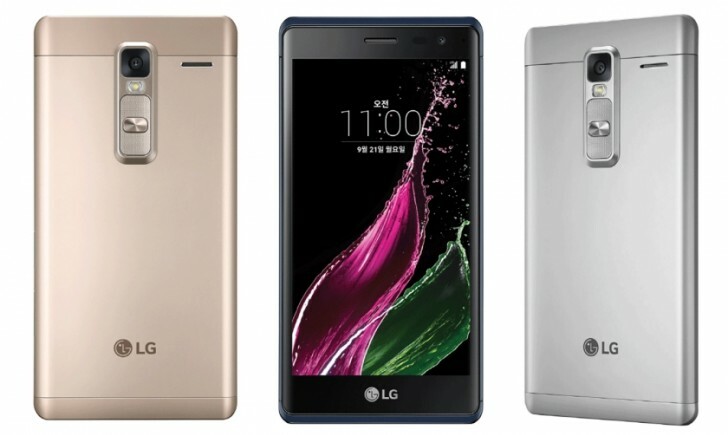 The LG Class comes in three colors - gold, silver, and black. It has a 5-inch 720p IPS touchscreen with 2.5D curved glass, a 13 MP rear camera with LED flash, an 8 MP selfie snapper, 2GB of RAM, 16GB of expandable storage, 4G LTE support, Wi-Fi, Bluetooth, GPS, NFC, and a 2,050 mAh battery. It's powered by Qualcomm's Snapdragon 410 chipset, boasting a 1.2 GHz quad-core Cortex-A53 CPU. The phone runs Android 5.1 Lollipop. Its dimensions are 142 x 71.8 x 7.4 mm, and it weighs 147g. The price in South Korea has been set at KRW 399,300, which amounts to approximately $338 or €301 at the current exchange rates. It's still unclear if LG plans on bringing the Class to other markets in the future. The only thing bad about LG G2 is its plastic back panal but otherwise you can not compare G2 with this low end phone and please don't compare its camera, G2 has lots of good things to brag about.